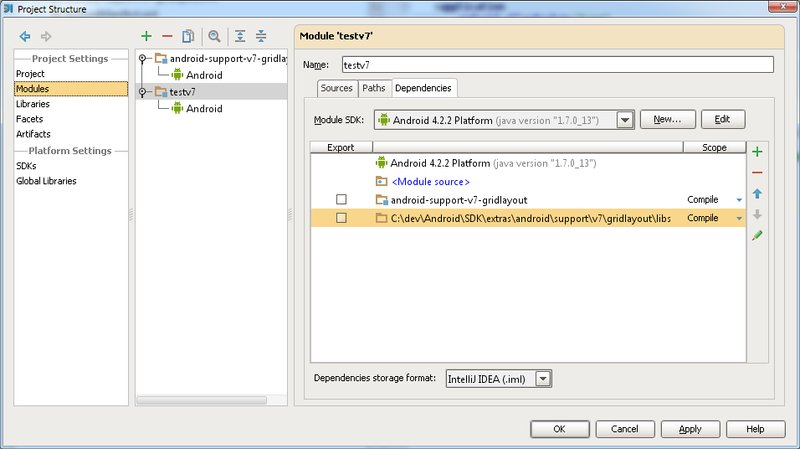 How to add android.support.v7.widget.GridLayout into intelliJidea? I want to add GridLayout into my android project which is use support library GridLayout v7. I found this thread but maybe a few steps of adding this library did not mention in this paragraph Set up support GridLayout library in IntelliJ. It's late for an answer but here it is, at least for future people looking for a solution on how to add the support library and resources for GridLayout (or ActionBarActivity / AppCompat, see below). The easiest way is as follows. 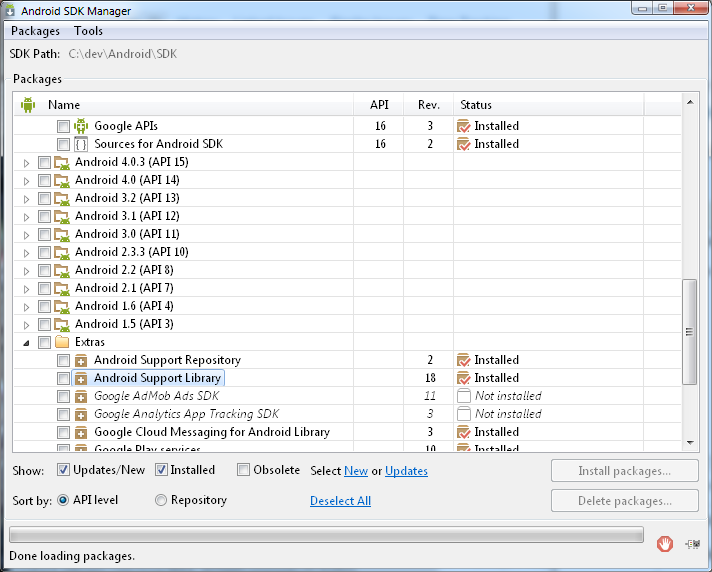 Make sure you have installed the Android Support Library, from the Android SDK Manager. in the next screen you should see Select Eclipse projects to import and android-support-v7-gridlayout, IDEA will also ask you to reload the project. this should add a module gridlayout [android-support-v7-gridlayout] in your project. And now you should be fine. Today I struggled with this and on android dev site I found simpler solution and why they're problems with it. GridLayout from v7 libraries aren't connected with v7 appcompat library so you must add v7 gridlayout library dependency manually. If you are using Android Studio, just go to Gradle Script -> build.gradle(Module:app) -> dependencies and type those dependencies there for better support. P/S the "v7:23.0.2" depends on your lastest build tools..
Not the answer you're looking for? 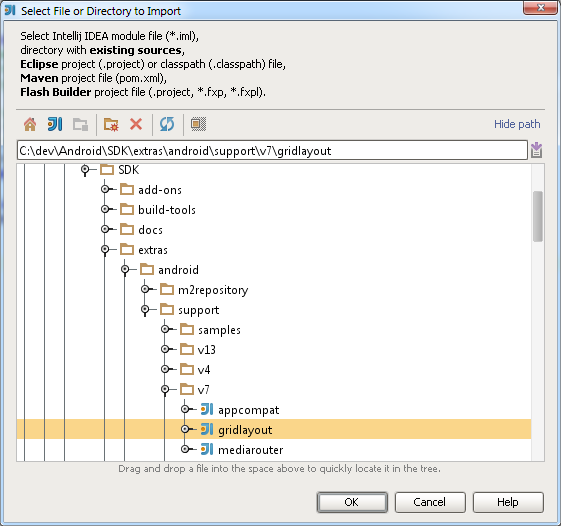 Browse other questions tagged android intellij-idea grid-layout appcompat or ask your own question. 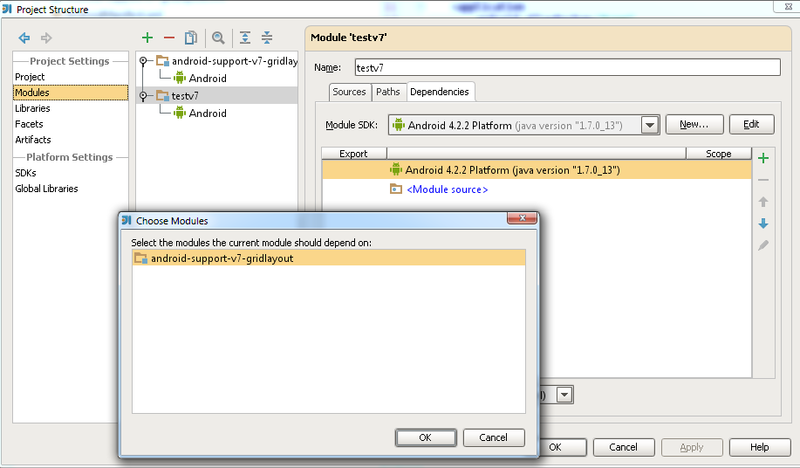 How do I add the library android-support-v7 in IntelliJ IDEA (Not Android Studio/Gradle)? How to wrap an AlertDialog around a GridLayout?